Marie is the founder of Music Made. She has over thirty years experience teaching the flute, piano and curriculum music in schools from Foundation to GCSE level. For the past decade she has concentrated on primary age children and delivering music input to GTP students. Marie has taught a lot of lessons, sung a lot of songs, tested a variety of music schemes and worked with teachers whose attitude towards teaching music ranges from extremely confident to completely terrified. As a result of this experience, Marie wanted to ‘de-mystify’ music teaching for primary school teachers and so Music Made was born. 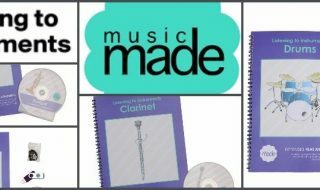 Music Made provides activities, resources, advice and training for primary school teachers to create a systematic, progressive and topic related music scheme.